RANDY BACHMAN'S VINYL TAP is two hours of music and stories from one of Canada's musical legends. 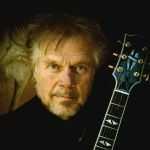 Randy Bachman has been an integral part of Canada's music scene for more than 40 years as part of The Guess Who, Bachman Turner Overdrive and as a solo artist. On VINYL TAP, Bachman spins his favourite tunes and shares stories from his life on the road and in the studio.